In case you missed this deal the first time. Family Dollar sells 6ct. 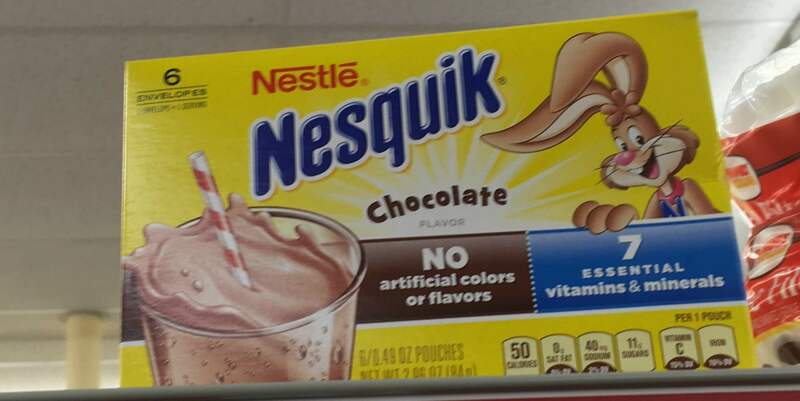 Nesquik Chocolate Mix for $1.00 every day. We have this great Earn $0.75 when you purchase NESTLÉ® NESQUIK® Powder ibotta rebate available. After rebate pay just $0.25! Awesome! 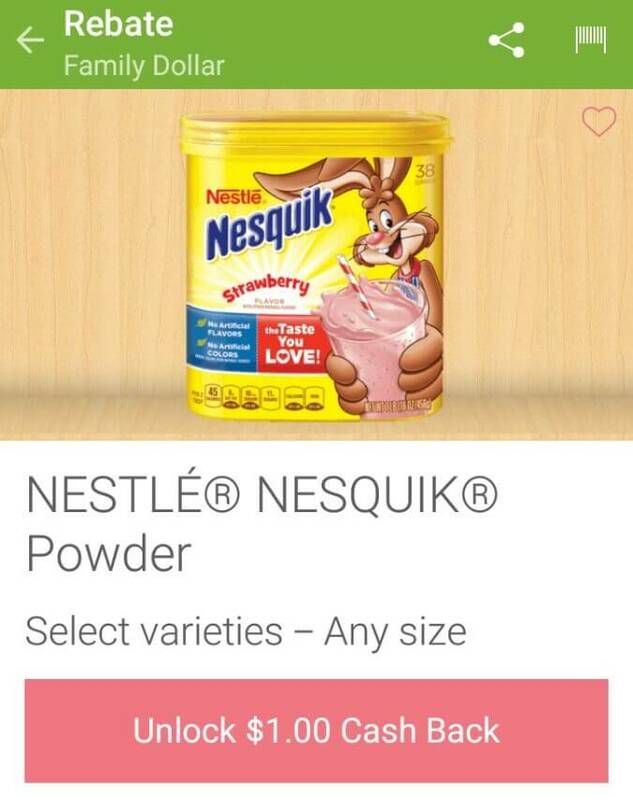 Select User accounts have a Earn $1.00 when you purchase NESTLÉ® NESQUIK® Powder rebate. If your account has this rebate you can pick up the NesQuik FREE! This rebate has been returning since it originally surfaced the first week in April, the current expiration date is 5/10! as low as FREE after rebate! Be sure to check out the rest of the Family Dollar Deals for the week before you shop. CVS Shoppers – Up To $3 Money Maker on Aveeno Moisturizing Bars at CVS!